Tangier is a port on the Northern coast of Morocco close to the Straits of Gibraltar. England actually received this city as a wedding dowry from the Portugese on the marriage of Infanta Catherine of Braganza to Charles II in 1662. (He also received Bombay as part of the gift). 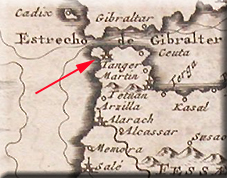 The English granted Tangier a charter which made the city equal to English towns. 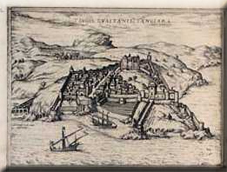 In 1679, Sultan Moulay Ismail of Morocco made an unsuccessful attempt to seize the town. 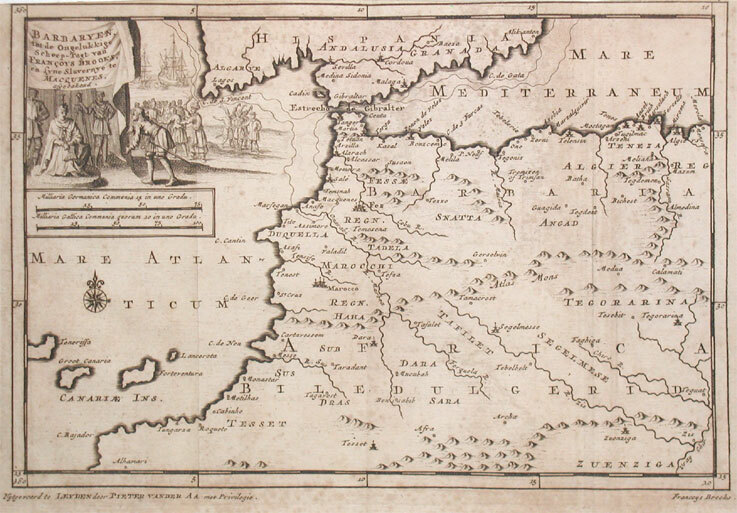 However he then set up and maintained a crippling blockade which ultimately led to the British retreating in 1684. The British destroyed the town and its port facilities on their withdrawal.